Click on any link below to access frequently requested information. Welcome to our newly improved website which was created for your benefit to aid in a more transparent form of government. We hope you find this site to be convenient and easy to use. If you have any suggestions or comments for improvements feel free to contact us. O’Fallon Township is located in St. Clair County, Illinois. Township government is the oldest form of government which continues to function today. It began in North America as early as 1636. Township government is designed to serve the basic needs of the community and to provide social services and road maintenance. The purpose of our web site is to provide useful, important and up-to-date information for residents and businesses in O’Fallon Township. For information regarding the Freedom Of Information Act, please contact either Dave Witter, Town Clerk or Debbie Allsup, Deputy Clerk at the O’Fallon Township Office, 801 E. State Street, O’Fallon, IL 62269 or by phone at (618) 632-3517 during regular office hours. Like the city, O’Fallon Township was named after Colonel John O’Fallon who settled in the St Louis area after the War of 1812. 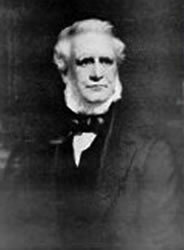 He eventually rose to the position of president of the Ohio & Mississippi Railroad. Being this powerful enabled John O’Fallon to run the railroad east through Lebanon and Caseyville. In 1854, O’Fallon Station (the beginnings of present-day O’Fallon) began to form. In 1883, O’Fallon Township was established by a vote of 2,863 to 2,411. Over the years, St Clair County has been divided into 22 separate townships including our neighbors of Mascoutah, Lebanon, Shiloh Valley, Belleville and Caseyville.